Versatile, fun, Bohemian, chic. This bag can be warn two different ways. For larger items, fill your bag and hook the straps on the top for more space. Not carrying your whole world? Fold the bag over and strap at the center of the bag for a unique foldover look. 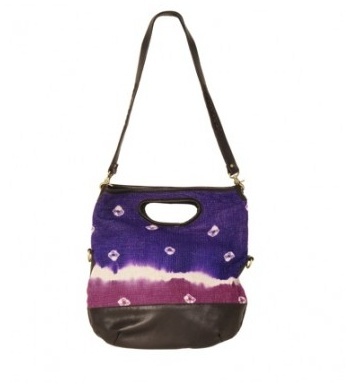 This bag is fun, made from antique kantha and buttery leather.